Morningstar will pay $39 million for the part of HelloWallet it does not yet own; it plans to complete the deal in the coming days. Morningstar announced Thursday that it has entered into a definitive agreement to acquire HelloWallet Holdings Inc., a provider of online financial wellness, for $52.5 million, including the stake it already owns. Once the transaction is completed, which Morningstar said will occur in the coming days, Morningstar will pay $39 million; it currently has a minority stake in the company valued at $13.5 million. Morningstar, through its advisory subsidiaries, is the largest provider of managed retirement accounts by participants served, with almost 1 million individuals enrolled. The acquisition will bring together HelloWallet’s comprehensive financial wellness expertise with Morningstar’s independent, research-based retirement advice to create a holistic retirement savings and advice offering. Dr. Matt Fellowes, a consumer finance expert and former Brookings Institution scholar who founded Washington-based HelloWallet in 2009, will maintain his leadership role in the company, which has about 50 employees. 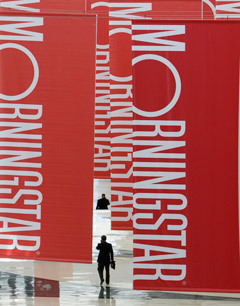 In January 2012, Morningstar became a HelloWallet investor with $6.75 million in Series B funding. HelloWallet combines behavioral economics and the psychology of decision-making with sophisticated technology to provide personalized, unbiased financial guidance to more than 1 million U.S. workers and their families through their employer benefit plans. He added that HelloWallet’s capabilities could provide value for many of Morningstar’s clients, including advisors and asset managers. Check out The ‘Mirage of Success’ Shimmering in Your 401(k) on ThinkAdvisor.